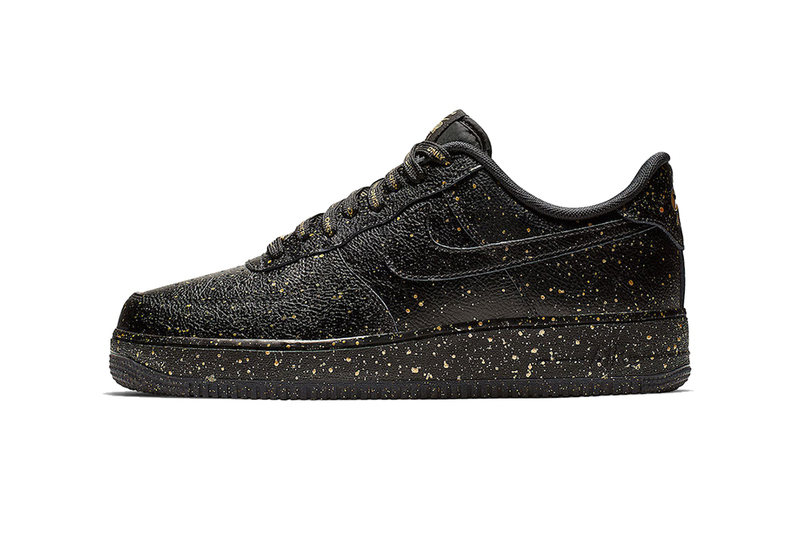 A part of a larger HBL collection with multiple footwear models, the AF1 ”Only Once” features an all-black tumbled leather construction with tiny gold speckles throughout, a nod to the confetti that falls down over the champions. The Swoosh’s signature “Nike Air” stamp is applied to each tongue and heel, with the addition of a “Nike League” logo appearing on each insole and the league’s “Only Once” slogan on the laces. Unfortunately we do not know when the Nike Air Force 1 ‘07 LV8 “Only Once” will drop as of yet, but it is rumored to arrive on Greater China’s SNKRS app very soon. In related NSW news, the Nike Air VaporMax 2019 “Pink Rise” releases next month.